I'm still enjoying the slopes as we speak, and have a few days left to relish. 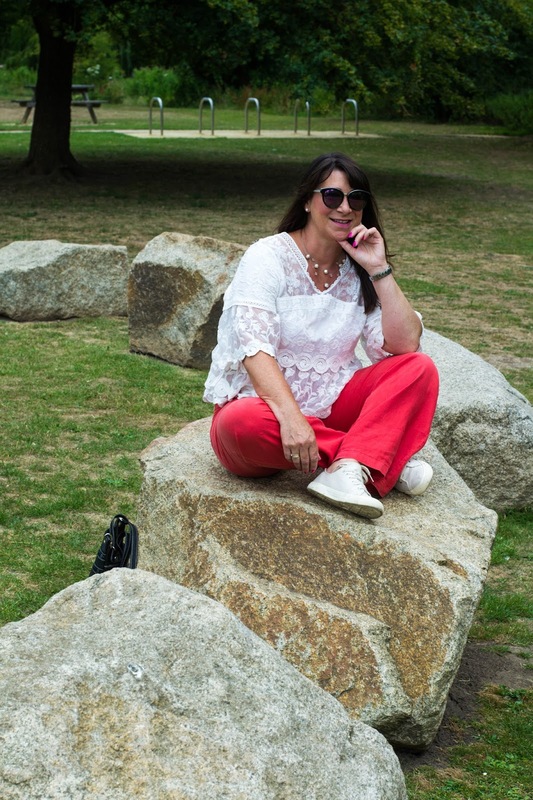 Today being Thursday it's the #chicandstylish #linkup, so do read on through and join in! Looking through my handbags I realised I didn't have a grey crossover bag, so after dropping a couple of hints (big ones) to the family prior to Christmas, this one landed under my tree. I've enjoyed using it quite a few times already, so it's been a good addition. 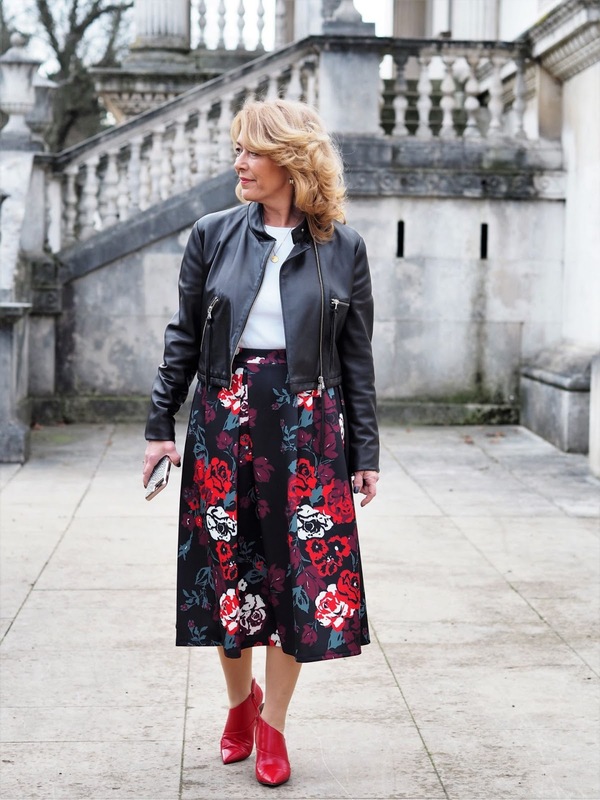 See it last week with floral & frills also with these wide leg trousers. I got to thinking about all my other bags - some bought myself, others presents - and here they are! Compiling this selection I counted just over thirty bags, I was surprised too. I have to admit I use all of them at one time or another. Some on the odd occasion others come out to play quite a lot. I haven't got a favourite, but do rather have a special place for the tan hobo bag & it probably gets the most use. You can't buy happiness but you can buy bags and that's kind of the same thing! I love bags, and have quite a collection. I like to change them to suit my outfits, so am always on the lookout for new ones. I am rather boring though and always opt for safe colours & classic styles. I look with envy at the bloggers who have wacky way-out styles, the red lips, the book look-a-like or the pineapple copy. Perhaps I'll invest in one soon, until then I'll make do with any one of these! Here's the aforementioned Christmas gift. 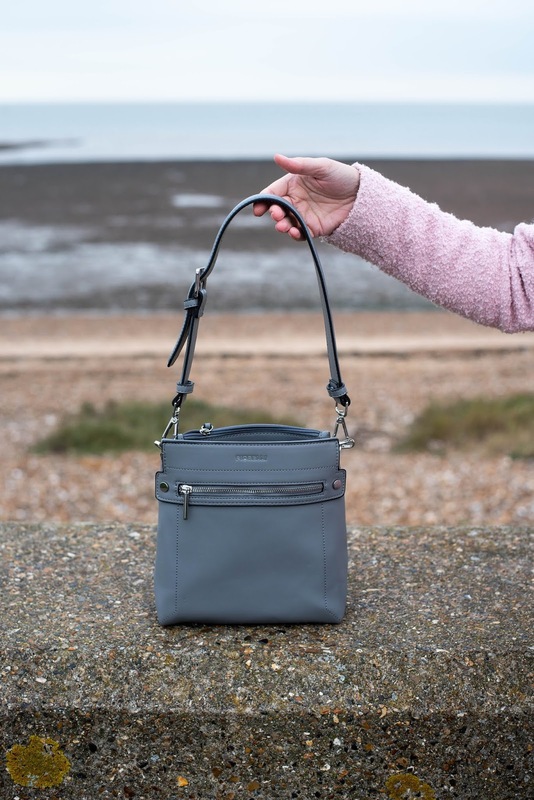 This Fiorelli Abbey bag is just the right size, has numerous pockets and not one but two handles - one for a long crossbody effect and the other a short elegant one, making two different styles. It's both eye-catching and serviceable & just right for my collection. I have all sorts of clutch bags, most are block colours with various patterns and designs over them. This cobalt blue has to be one of my favourites. I can't even remember when I got it, but I think it was from New Look. You might have seen it rocking about the blog at least once or twice as I use it often. One of my preferred choices with white as you can see below and here too with white jeans & a blue kimono. I got this Jaeger bag from hubby for Christmas a few years ago - he likes to go 'off track' and buy me something that's not on my list - among handbags he's also bought me necklaces, jackets and slippers - all his own picks and I love them more because of that - it's his decision, his preference and his choice. Fortunately all his presents have been favourable - luck or does he know me so well?? The soft grey leather bag is delightful to use & beautifully made, I'm sure it was very expensive, but a lady never askes does she! I love that it's got a double zip effect, that means you can open in the middle or either end. Inside it has a pocket for your phone along with a pocket with a zip to hold any valuables. The handles are long enough to throw over your shoulder but short enough to hold by your side. Tan hobo carry all bag - bought with birthday money, truly worth the £70 I paid for it. Fits so much in and being tan it goes with plenty of my styles. Comes from T K Maxx - my favourite store for bags - I could often buy about three or four bags when I shop there!! I bought this crochet bag from the Matalan sale. It's just what I wanted for my summer holidays, it's got a hippy vibe and feels very casual. I love it with this kind of outfit, feeling content it looks the part. There's a zip across the inside with a flap over the top that has a stylish wooden pendant hanging from it. I had to tie a knot in the top because it tends to stretch with too much content - I have a bad habit of piling too many 'essentials' in my bags - lol, do you have that trouble? You might remember seeing this white bag back in the summer. Again I bought it from T K Maxx. I came across it in the sale back in the cold winter months, popping it into my basket then I placed in store for the summer. I completely forgot about it, so when I found it again I was stoked - do you ever buy, hide and find? How enjoyable is that! 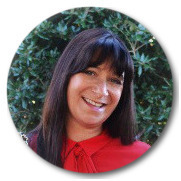 Try buying in the sales and keeping until the right season, you'll love it! Another from 'that shop' is this raffia bag. Finding it whilst on a boating holiday in Windsor with friends. 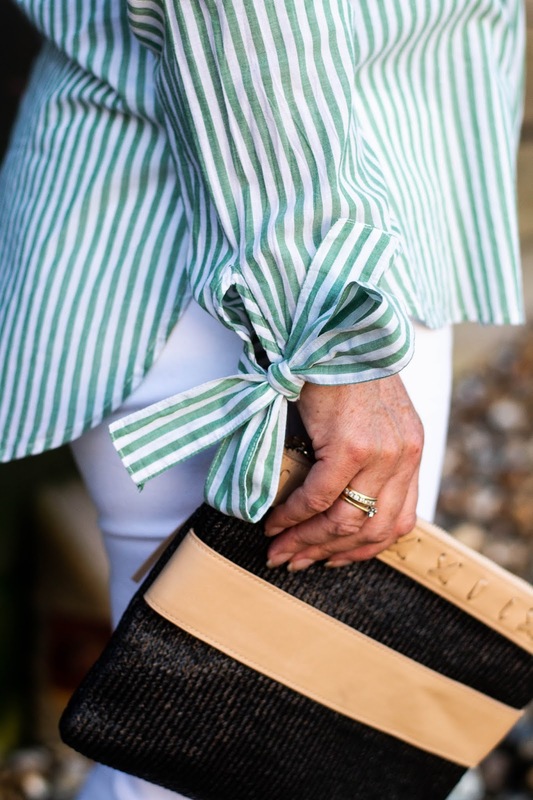 I love the two colours and the tassel works for me big time - you might know I like tassels, frills and anything fussy, hence the bows on the stripy blouse! Another clutch I love is this yellow one that belongs to middle daughter. 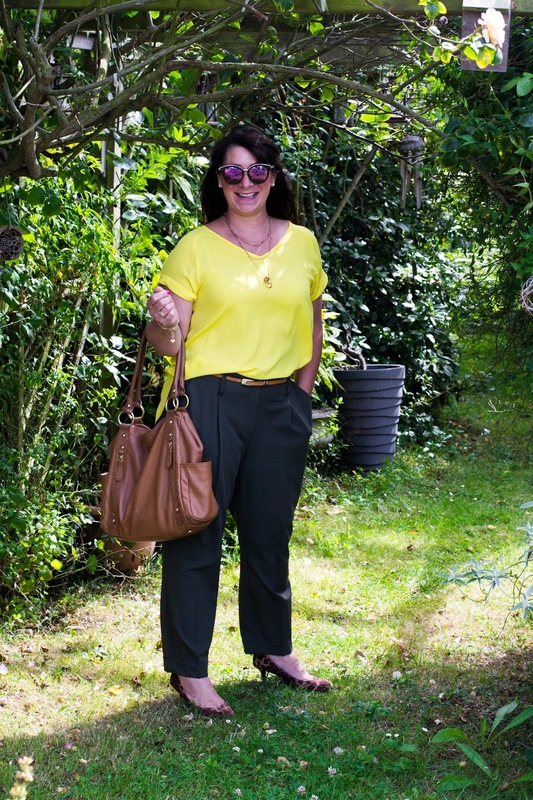 I don't even know where it's from, but love borrowing it when an outfits call for yellow accessories. The next piece was gifted to me from Lotus Shoes, called Houston - I definitely didn't have a problem with this one. It's a bag that holds so much yet still looks eye catching. The cut out details make this interesting bag really stand out - I enjoyed using this in the Spring and Summer months. The long strap also came in handy as it can be used hooked over the shoulder or as a crossbody. I'm sure everyone has a basket bag. My bestie gave me this for a birthday, and I use it when I go abroad. Having room for a towel, book and sun lotion it's great for the pool and the beach. You can't see but it has a draw-string closure to keep everything secure - a good addition for keeping money & a phone safe. Hope you like my collection of bags, these are just a few. Which one is your most favoured? What do you use most often? Got time for a party? Join the #chicandstylish #linkup party that's live now! Also leave a link back to Mummabstylish blog page. Thanks so much for joining me today, I'll be checking out your blogs from The Alpes, I might even have a vin chaud in my hand! Wow you do have a great collection of bags Jacqui. I have a few bags but mostly collect shoes, ha! !I love your grey one. That is the kind I usually go for so you can zip everything away safely :) Thanks for hosting. It's shocking how much we have when we pull it all out and look at it isn't it? I cleared out my clothes last weekend (post to come at some point) and first pulled out everything I had and OMG!! Way to much. I am a handbag junkie! Well, I used to be I have actually been buying fewer, but better bags. They do still catch my eye and I think it started when I was a little girl. I have been wanting a vintage bag - so that will be my next one. 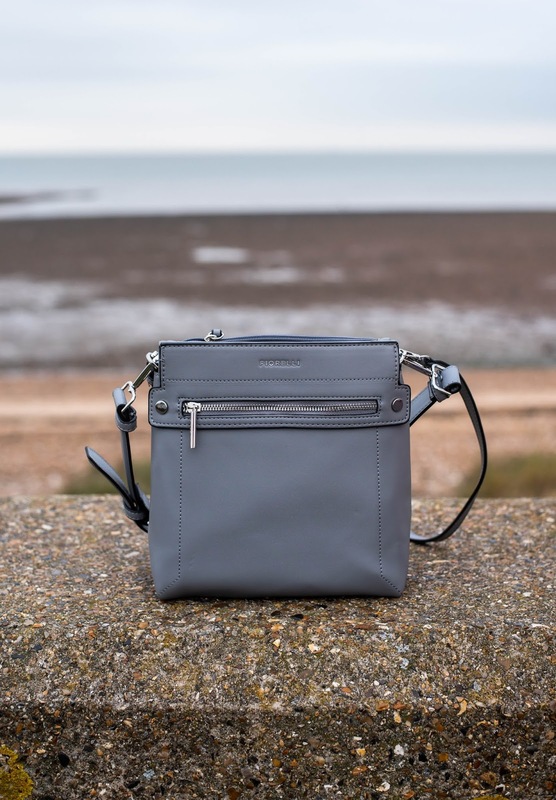 Love your new grey crossbody - perfect for traveling and being out and about! It's so fun to see your handbag collection! 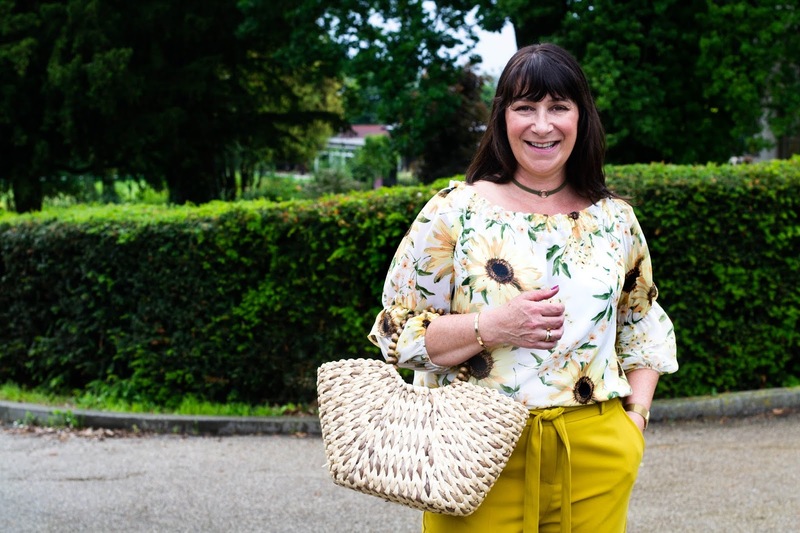 It's true, a bag brings so much interest to an outfit and yet I struggle spending some of my clothing budget on them! But boy do I love it when family gifts them. Thanks for hosting Jacqui! 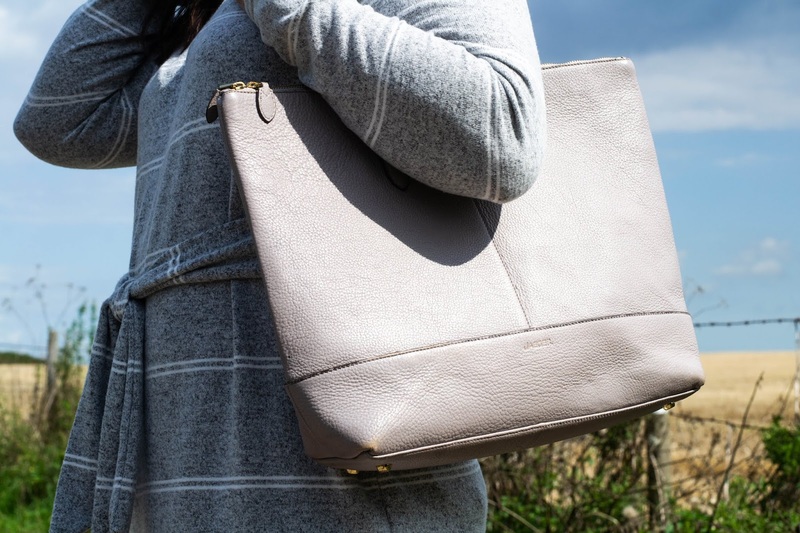 I never had many purses until I started blogging. But they can add so much interest to an outfit. So I have a feeling the addiction will now continue..
To answer your question, NO a girl can never have too many handbags! Boy, you have a ton! Love your new grey one, gorgeous! Jacqui, you do have a great bag collection! It’s funny...I am not much a bag person. I hate changing them out and I need a giant catch all for everything I haul around with me...yet, I have quite an extensive collection myself somehow. And many remain unused or only as props for photo shoots. And usually I don’t even have a bag in my outfit photos! But I am like you, I admire the crazy wild bags, but mine are all kind of safe as well. Great collection of bags! I love the interest a bag can add to any outfit! You have quite the handbag collection! So many lovely options and your new grey cross-body bag will be versatile, I am sure. I have always been more of a shoe girl, but have been paying more attention to adding a variety of bags to my wardrobe in recent years. Enjoy the slopes! Good grief! That's quite the collection. I have 2 purses that I actually use and few occasional bags...I'm too lazy to move all my stuff from one to the other. LOL! SO many cute bags! I love the slate grey color of your new bag! Pretty! I have a thing for bags too! Love the tan hobo and the white bag is pretty with the detail it as. Fun! Hope you are enjoying your skiing trip. To answer your question, no, you can never have enough handbags! ;) You definitely have some beauties in your collection! What a collection! I was surprised at the colour variety, my bag mountain would be mostly black I'm sure. IF I dared do that! I thought I had a lot of bags! What a fabulous collection. No excuse for not having the right bag any day. Such a nice collection! My favourite one is the yellow clutch you borrowed from your daughter (as I'm looking for an yellow bag as well right now) and the white one. Have a nice weekend. No, you can never have too many handbags! For me, collecting handbags is my passion. Personally, I feel that the handbag is the ultimate accessory. Oh what a fun post! I love handbags too, but I think you have me beat by a few! You've inspired me to pull out my handbags and just see what I have! 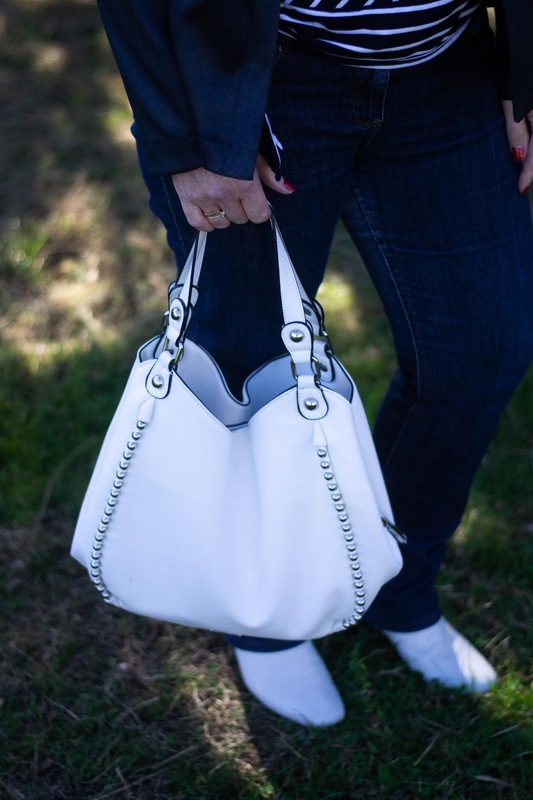 I love that white bag you have with the studs on it! And the tan hobo (I love a big hobo bag!) But my absolute favorite thing in this post was your quote "You can't by happiness but you can buy bags, and that's kind of the same thing." Love it! You have a fabulous collection of bags! I have loads too, but stick to the same three or four bags for work. I do love quirky ones though - Skinny Dip have some brilliant designs! That's a lot of bags! I find it hard to find room for too many so I only ever have about three tote bags in circulation, plus a couple of clutches in the summer. I desire quite a few of your bags including the crochet bag! Great collection of lovely bags. That said, how many is too many? or more to the point, how many is enough? is 30 bags enough? 60 bags enough or 100 bags enough? How many bags is a need? how many bags is a want? How many bags is an addiction?